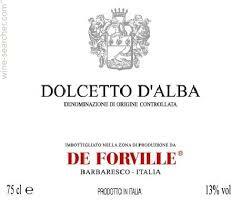 1st bottle red: De Forville Dolcetto d’Alba D.O.C. This 100% Dolcetto originates from Loreto, in the commune of Barbaresco, Italy. Fermentation takes place in stainless steel followed by immediate bottling. This winery has a rich history with its founder, Gioacchino De Forville in 1860. Since that time, the Vincenzo, Paolo, and Mafalda families have carried on the work of the Gioacchino. This wine comes with a recommendation of consumption within two-three years. This is what is known as a “pleasant” wine. It has balanced tannins with nice dryness on the finish. You will get many harmonious flavors of cherry, plum, and almonds. This wine is very versatile so it can be served with all sorts of food. Given its relative lightness, try it with a simple assortment of meats and cheeses. Enjoy with friends! This 100% Pinot Gris originates from the Redwood Hills Awatere Vineyard in Marlborough, New Zealand. 2015 was low fruit yielding due to cool spring weather. The summer was dry and allowed the smally yield to ripen beautifully. Harvesting took place in April 2015 with fermentation taking place in stainless steel tanks. This is an exciting wine for sure! Powerful floral nose of jasmine flowers, nice sweetness of white peach, a clean and crisp acidity with a lime like finish. Ahhh…Refreshing! Get a case of this wine so that you can enjoy some of it on your porch when temps finally crack 75 degrees. Enjoy! This 100% Carignan originates from the Vaucluse IGP of France. It is certified organic and undergoes fermentation in steel tanks with native yeasts. This wine is first racked following fermentation. A second racking takes place a year later to taste. This wine is unoaked. This light-medium body wine has nice fruit with easy tannins. 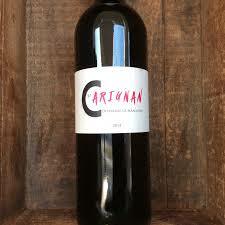 It is kind of unusual to see 100% Carignan since it is usually a blending grape. The absence of oak lets you taste the pure expression of the grape. Best served with turkey and stuffing and good friends. This certified organic combination of Pinot Gris (85%) and Gewurztraminer (15%) originates from Willamette Valley, Oregon. Vines are over 30 years old and were planted in 1986. Fermentation takes place in stainless steel. Case production limited to 425. Super high acidity. You will get tons of lime throughout. The fact that it is unoaked let’s the citrus fruit notes shine even brighter. Try this wine with light fare or no food at all. It will cleanse your palate and get you ready for your main course. 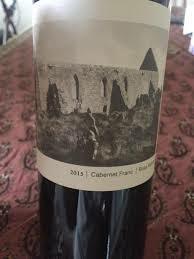 This blend of Grenache (70%) and Syrah (25%) originates from San Luis Obispo, a sub region of Paso Robles. More specifically, the fruit comes from Linne Calodo Estate Ranch and G2 Vineyard in the Willow Creek District. Grapes are harvested by hand. This wine undergoes malolactic fermentation. Production is limited to 850 cases. Can you say…FRUIT BOMB!!! Yet, not overpowering…it is smooth and not over the top. After you get past the cherries and strawberries, the tannins are approachable. The overall experience is a balanced new world wine with lots of character. Enjoy casually with grilled red meat and friends. 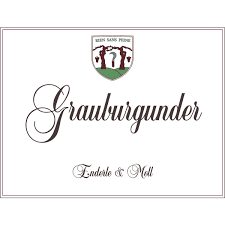 This 100% Grauburgunder originates from Kirchhalden vineyard from the village of Münchweier, Germany. Grapes are farmed organically/biodynamically with no additives, no filters, and mimal sulfur. Soil consists of a combination of limestone, sandstone, and loess. The average vine age is between 30 to 60+ years. Grapes are hand harvested and the winery is run by essentially to guys, Sven Enderle and Florian Moll. Commonly known as Pinot Gris in France and Pinot Grigio in Italy, Grauburgunder is the equivalent in Germany. However, the style is decidedly different. While most Pinot Gris are slightly sweeter, and Pinot Grigio is dry, Grauburgunder is drier still. You will get many fruit notes with this wine with a crip dry finish. Try it with roast goose, and your friends. This 100% Cabernet Franc originates from Yakima Valley, Washington. More specifically, the fruit is sourced from Red Willow, Outlook, DuBral, and Union Gap vineyards. 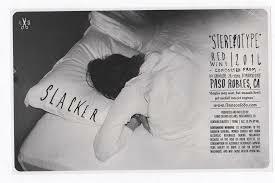 The wine label has a particular historical significance. It is a picture of the ancient Drumlane Abbey in County Cavan, Ireland. The was the refuge of many Irish for nearly one thousand years. One such Irishman was Owen Roe O’neill, a famous Gaelic Irish soldier and leader of armies. He died in 1649 at the hand of the forces of Oliver Cromwell, an Englishman, effectively ending the Irish Confederate Wars. 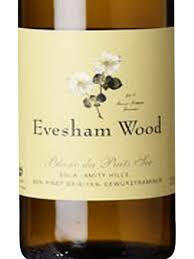 This wine is aged 16 months in French oak barrels. Everything Owen Roe makes is quality wine. We’ve carried many of their selections over the years and continue to offer them because they never disappoint. You will get fruit on the nose and earth on the finish. Notes of tobacco, and blackberries persist. Cabernet Franc is the lighter funkier cousin to Cabernet Sauvignon. If you haven’t already opened this up for a try, you are missing out! Best served with red meat prepared on the grill with good friends.